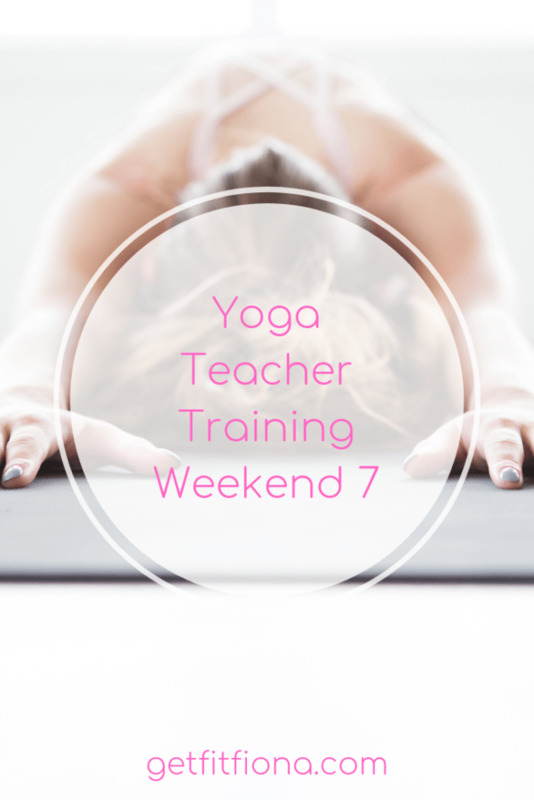 Today I’m sharing a recap of my 7th weekend of yoga teacher training. Another weekend of yoga teacher training is done! I always leave after I’m done on Sunday exhausted, but at the same time I’ve learned so much about anatomy, yoga, and yoga philosophy. Friday night we started off with a great flow practice. We did a few sun salutations after the warm up, which were the only sun salutations we did for the entire practice. I’m so used to the ashtanga practice of doing vinyasas between each seated pose that it was nice to experience something different. After a short break after the practice we discussed about 10 postures and talked about the variations and modifications, as well as which muscles were stretched or contracted for each pose. We spent Saturday morning talking about shoulder anatomy, focusing on the trapezius and pectoralis major and minor, as well as the bones of the shoulder. Shoulder and back issues seem to come up over and over again for clients, so it was great to be able to dive deep into how to work with those injuries. Before we got into a pranayama practice, we spent some time talking about the yamas and niyamas, and our personal experince with them. It was really eye opening to see how much they are a part of so much of everyday life. We spent the next two hours doing breathing work and meditation. Thankfully it was broken up a bit so we weren’t doing each for more than 20 or 30 minutes. It was definitely a lot of work and concentration. We started off our last day of yoga teacher training for the weekend focused on the anatomy of the rhomboids and serratus anterior. I didn’t realize how much we use both of these muscles in yoga – from triangle pose to plank. Once we had the anatomy down we went through a bunch of poses that use both of those muscles and how to make sure that they’re activated properly in the poses. We finished off the morning talking about sound and how it affects the body in different ways. It was a really interesting conversation. The last few hours of yoga teacher training were spent discussing the 8 limbs of yoga – specifically pranayama (breath control), prathyahara (control of the 5 senses), Dharana (concentration of the mind), dhyana (meditation), and samadhi (supreme contemplation). They’re all tough things for me to wrap my head around, so it took a lot of concentration to follow what the instructor was explaining. 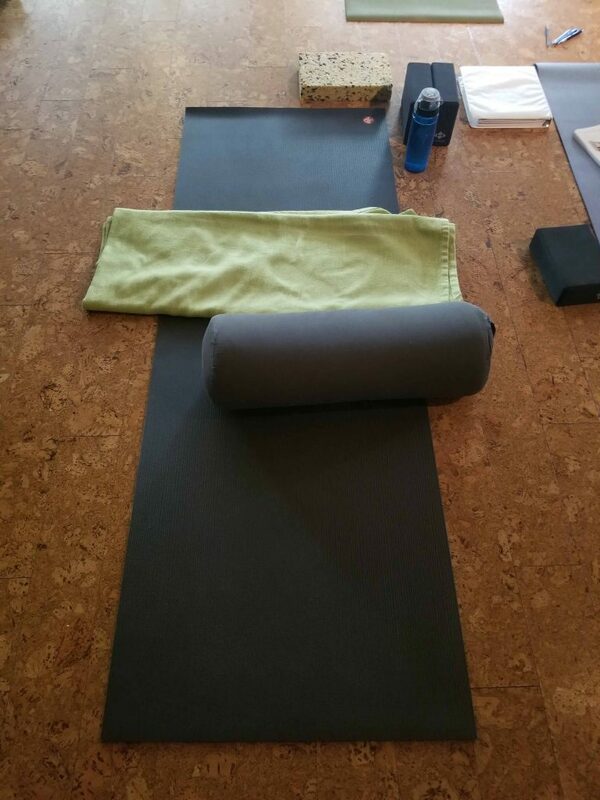 The last hour and twenty minutes was spent doing yoga nidra and meditation. I thought it was the perfect way to end off the weekend. All in all it was a great weekend that focused on anatomy and the philosophy of yoga. While the philosophy side of things is definitely harder for me to understand, I’m working hard to stick with it and I think it’s starting to pay off. I’m slowly but surely starting to figure it out. Thanks for leaving a comment. To be honest you’re probably better off contacting the studio that you want to do teacher training at directly. They all do it a bit differently. Good luck on your yoga journey!